Your life in Calgary is a busy one. Come home and unwind to your dream spa with a Bedrock Construction bathroom renovation project. It is a small amount of square footage but the value you can bring to your home can be even greater. As you begin to add up the numbers in your head, a bathroom renovation can quickly become overwhelming. 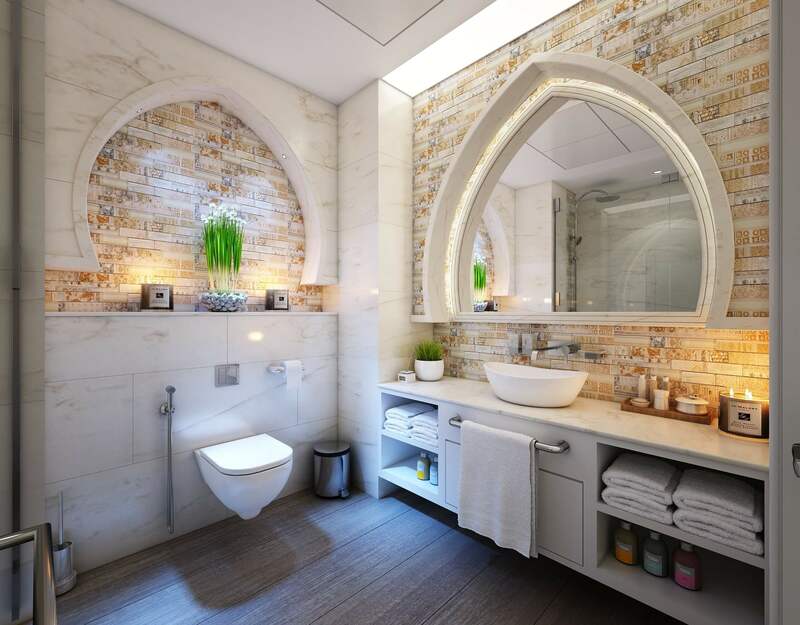 Faucets, a new porcelain tub, toilet, tile, plumbing, spa-like shower and a vanity can quickly add up to a number that far exceeds your intended budget. Do not worry though. This is what Bedrock Construction specializes in. We are the linchpin between your dreams and reality. Our core values make all the difference. Bedrock’s roots began in the tile industry where we developed a reputation for our attention to detail. Not only do our core values reflect this, but we have developed and refined our process that focuses on details, budget and schedule. Read more about Bedrock Construction and our Core Values here. 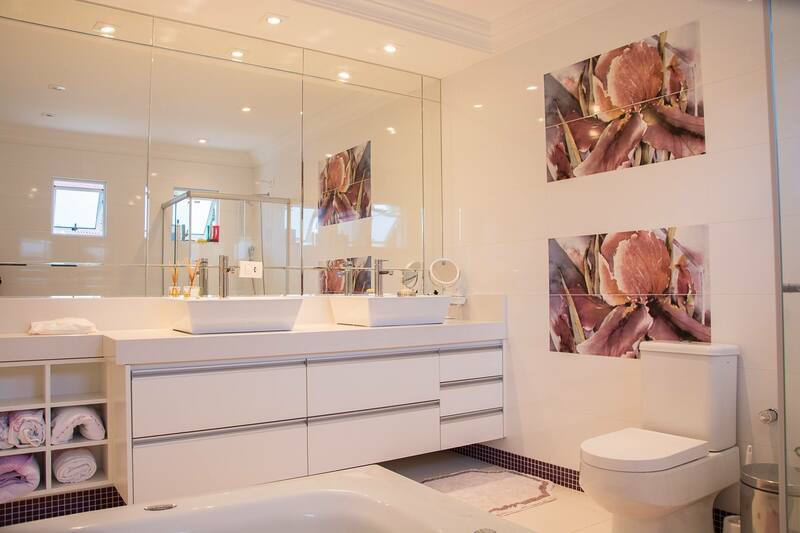 A bathroom renovation involves multiple tradespeople from a variety of disciplines. It is a process that must be carefully planned and coordinated where every party must be held accountable. Life cannot stop because of a bathroom renovation. We are often renovating a bathroom while the rest of the house continues on. The key to a successful project is to minimize mess and disruption. This is why our job sites are always left clean. Tile setting is one of the greatest parts of a bathroom renovation. The creativity and design possibilities are endless. Bathroom renovations may not have a large footprint but they often require the details to be the primary focus. It is difficult to relax if an out of place tile is starring down at you. At Bedrock Construction, we call ourselves organizers. We coordinate, schedule, plan and strategize 24/7. The moving parts of any renovation project involve an eye for detail as well as a process that has been refined through years of experience. Get it done right - the first time! We were recently hired to redo three bathrooms in a home that was only three years old. At first glance, the renovation looked top notch. Under the surface however, was another story. We were weeks ago from a possible disaster. Mould had overtaken the base of the shower and water was about to seep into the knock down ceiling below. One renovation turned into three with the possible threat that this problem could happen to the other bathrooms. All of this could be mitigated if it was done right the first time. Follow us on Instagram to watch us while we work.